A 17th century mansion, built between 1620 and 1687, with later alterations, including a crenallated stable block built in the early 19th century. The house has 18th century walled gardens, with an 18th century orangery and dovecote. The house and its contents were given to the National Trust by Robert Ketton-Cremer, and the house and gardens are now open to the public. Felbrigg Hall. Listed Building, Grade I, 1952. Felbrigg Hall is believed to have been constructed by Robert Lyminge between 1621 and 1624 for Thomas Windham. Alterations were carried out by William Samwell around 1685 for William Windham and by James Paine around 1750 for William Windham II. The house is constructed of rendered brick and flint, with stone dressings and a combination of slate and glazed black pantile roofs. The Hall now has an irregular plan, but the original 1620's range was one room deep with a hall and cross-passage. The south front of this range is made of flint and English bond brick and was rendered. It is a two storey range with attic, laid out in seven bays with a central square projecting bay, and features stone mullioned and transomed windows with leaded glazing. Above the entablature the family arms and the projecting bays bear the words GLORIA DEO IN EXCELSIS in pierced stone, surmounted by heraldic beasts. A single pile, three cell western range was added in the 1680s. The west façade of about 1685 has 8 bays, the centre two bays breaking forward slightly, and is two storeys with an attic. It has a brick plinth and sash windows with glazing bars, moulded brick reveals and flat rubbed brick arches. A drawing of about 1675 displayed in the Hall shows that cross-casements were intended, but the casements were presumably replaced and the sashes altered over time. A two storey canted bay was added to the north gable around 1750. In the 18th century a parallel range was added behind the house and a further, single storey, addition was made to the north in 1823. A two-storey outshut with platband and brick dentil cornice was also added to the rear of the west wing in the 18th century, containing a corridor for the ground and first floor. The interior of Felbrigg Hall features a rib-vaulted porch on the south front. The original 17th century stone door surround was moved to the walled kitchen garden in 1842 (see NHER 51748), but was replaced with a reproduction. The original cross-passage is now an entrance hall and the screen is now a solid wall. The Hall was refurbished in Jacobean style around 1840, probably by J.C. and G. Buckler. It has oak overdoors with strapwork and finials, and a stone chimneypiece with a heavy strapwork overmantle containing 17th century Windhams arms. The ceiling features drop finials and plasterwork. Stained glass was brought to the house around 1840. Five panels of 15th century glass from St. Peter Mancroft, Norwich, two 15th century French figures of angels, and early 17th century Swiss glass was incorporated into this room. The dining room has a plaster chimney piece made by Joseph Rose the elder and George Green and additional plasterwork over the doors including panels of Rococo plasterwork as well as eight sconces with plasterwork surrounds, and ceiling cornice with egg and dart moulding and dentils. The ceiling features four seasons corner panels and an oval centre panel with spears, drums, hunting horns, and an eagle with outspread wings and talons intended to hold the chain of a chandelier. The drawing room has a white marble fire surround with Roman Ionic Siena marble columns and frieze. The plastered door cases and cornice were added by Paine. The plaster ceiling has been dated to 1687, with WW in another panel, and the plasterer was probably Edward Goudge. The window shutters have octagonal moulded panels and the chimney piece is of white marble with consoles and fluted fascia of 1824. The dado and door surround were constructed by Paine and the dentilled coved cornice and Windham arms above the 1750 chimney piece are again by Paine's plasterers Rose and Green. The main ceiling was constructed by Goudge around 1685, with an added Rococo centrepiece. Plasterwork continues in 17th century style into an added bay. The open-well staircase was by Paine around 1750. The upper landing has moulded plaster panels, moulded door surrounds, a ceiling cornice with modillions, and a skylight of about 1930. The library was added by Paine and is Gothick style, with clustered shafts on the corners of the bookcases rising to a pinnacle. The geometrical 'Jacobean' ceiling was removed in 1923 and only a small amount remains in the window bays. The window in the bay to the west was subsequently blocked in 1787 and was lined with bookcases by Matthew Brettingham in a similar style to Paine's. The marble bolection-moulded fireplace was brought to the library from Cabinet in 1752. The cellars include a medieval undercroft of 6 bays with transverse 4-centred arch brick ribs and evidence of a brick stair to the house. See (S2, S3, S4) for additional information. H. Hamilton (NLA), 16 September 2008. The building is now under care of the National Trust (given to the trust by Ketton-Cremer),and is open to the public (S5). Three rooms in the Famwell wing of 1680 known as the Chinese Room and the Rose and Red Bedrooms have been restored by John Sutcliffe under the direction of Julian Gibbs of the National Trust. During the repair work, manuscript writing was discovered underneath the wallpaper of the Chinese room, confirming that the paper was ordered by James Paine around 1750. Several original door openings have also been identified and re-opened. See (S6) for further details. Jacobean block of 1620, west wing 1674 to 1687, alterations of 1750 including the service wing. Orangery of 1705 (see NHER 51744), walled garden with 18th century dovecote (see NHER 51748). Early 19th century crenallated stables (see NHER 51747). Good interiors of all periods. Remains of medieval house in cellars (S7). For detailed description see (S8). Some stained glass from St Peter Mancroft, Norwich. Note: on display on a desk are 6 or 7 flint tools, apparently Palaeolithic handaxes, one marked Ringland, the others from sites outside Norfolk, from Ketton-Cremer Collection. This NHER 7797 for further discussion of the Ringland handaxe. E. Rose (NAU) 20 April 1977. October 1977 - Easter 1978. Restoration. Restoration of two first floor rooms known as the Yellow Bedroom (the principal guest room) and the Grey Dressing Room, was due to be completed at Easter 1978. Plans were also in place to restore the nursery the following year. See (S9) for further details. Park first mentioned in 1581; deer recorded in 1781. 1978-1980 (at some time). Photographic Survey. A photographic survey of plaster mouldings in the interior of the Hall. T.E. Miller (NLA), 4 January 2006. Updated H. Hamilton (NLA), 15 September 2008. Possible 17th century brick and cast-iron stove found during kitchen renovations. The bell at the house of 1756 by T. Gardiner was the last bell cast in Norwich. Inf . E. Rose (NAU) 30 January 1986. (S12) quotes a record that in 1654 two loads of stone removed from the ruins of Baconsthorpe Castle to rebuild buildings on the Felbrigg Hall estate, though not necessarily the hall itself. E. Rose (NAU) 11 August 1986. Work to stop the erosion of the façade undertaken, sundial restored, leaded windows renovated and roof repaired. Restoration work on the Chinese bedroom begun after discovery of dry rot. February 1992. Excavation of pipe trenches. Two trenches were excavated to the rear of Felbrigg Hall. The northern trench was excavated for a heating cable and revealed no archaeological finds or features. The southern trench was excavated to insert a drain and exposed an earlier drain constructed of salt glazed vitreous pipeware and two 18th to 19th century brick culverts which may have been constructed at the same time as the 1930's extension. The cellars of the west wing were also investigated. The cellars have brick barrel vaults with numbered wine bins, contemporary with wing as well as a high quality 16th or early 17th century reset linenfold doorway. E. Rose (NLA) 28 February 1992. Updated H. Hamilton (NLA), 16 September 2008. March 1993. Watching brief on installation of new water main in grounds of Felbrigg Hall. A pipe trench was excavated along the west side and in front of the house to serve stable block. Four discrete spreads of mortar, flint, brick and tile were recorded. A 17th to 18th century brick drain running south from the house, modern drainage pipes, and a spread of flint, brick, tile and bone were identified. Five additional small brick drains were recorded to the west of the house, all apparently disused. See (S16) for further details. S. Bates (NAU), 5 March 1993. Paine created the Gothic Hall in 1752 and the Gothic Library in 1755, but the Eating Room and the Closet were given a Rococco version of Restoration style in keeping with the older interiors. The plan to Gothicise the Jacobean front was abandoned, illustrating the new Historicist style. E. Rose (NLA), 4 December 1995. A program of restoration is to be carried out in the late-17th century Samwell wing, including installation of safety access, works associated with heating, lighting and drainage, and replacement of a sash window with a casement window. See (S18, S19 and S20) for further details. Dendrochronological analysis was undertaken on 21 samples from 19 timbers of the roof of the late-17th century Samwell Wingt. The majority of the timbers appear to have been cut between the summer of 1684 and the early spring of 1685, with one timber possibly felled as late as early summer 1685. This indicates a construction date in spring or early summer 1685, as timbers were usually felled as required and used green. This confirms that the structural elements of the roof are survivals of the documented construction work of William Windham, which was completed by 1685. See (S21) for further details. In 1745 Wyndham purchased 3700 Hull pantiles, the earliest record of Hull pantiles being used in Norfolk. See (S22). See (S23) for further details. H. White (NLA), 18 February 2010. February 2007. Excavation. Contexts 1-19. A small trench was excavated to the west of the central porch, immediately adjacent to the southern façade of the Hall, in order to assist in the creation of a strategy to deal with drainage problems. Three phases of drains were identified following removal of the stone paving slabs and associated gravel bedding. The drains range in date from the 17th century to modern times. The drains appeared to have punctured a layer of chalk marl which had been applied to the roof of the medieval cellar in order to provide a watertight seal. See (S24) for further details. H. Hamilton (NLA), 12 September 2008. November 2008. Watching brief. Contexts from 20. Two areas were excavated during drainage works to the rear of Felbrigg Hall. No archaeological remains were recorded. The height of the natural deposits in the trenches suggested that the area to the south of the current garden was once terraced, thereby removing any archaeological remains. 28 stained glass window panels were removed, restored and replaced during the winter of 2008. See (S26) for further details. Internal alterations to form new apertures between the proposed kitchen and dining room and between bedroom and ensuite. See planning application in file. Z. Dack (HES), 29 June 2011. Before March 2011. Planning application. The entrance gateway to the hall was widened by 1.5 meters following partial demolition of a pillar by a vehicle. New foundations reinforced with steel were inserted and limestone from the original pillars was reused in the quoins of the red brick gateposts. The original capstones were placed back on top of the pillars. S. Howard (HES), 21 October 2011. Restoration to the Thomas Page clock which was made in 1770 has been completed. Other restoration work includes the 18th century weather vane. See (S28) for further details. --- Aerial Photograph: TG1939 P-Q,R,S,U-AA. --- Graphic material: Various. Various. Architectural plans.. Nov 2001 Estate Map. --- Aerial Photograph: Edwards, D.A. (NLA). 1995. TG 1939AB - AJ. --- Newspaper Article: Eastern Daily Press. 1989. Fascinating Felbrigg. 11 April. --- Newspaper Article: Eastern Daily Press. 1986. Local Landmarks (photograph of Felbrigg Hall). 19 April. --- Newspaper Article: Eastern Daily Press. 1987. Photograph of Felbrigg Hall gardens. 29 June. --- Newspaper Article: Eastern Daily Press. 1988. Expansion plans for two halls. 8 December. --- Newspaper Article: Eastern Daily Press. 1990. Photograph of Felbrigg Hall. 11 May. --- Newspaper Article: Eastern Daily Press. 1992. Photograph of Felbrigg Hall. 25 October. --- Newspaper Article: Eastern Daily Press. 1993. Plain look at the life below stairs. 21 October. --- Newspaper Article: Eastern Daily Press. 1994. 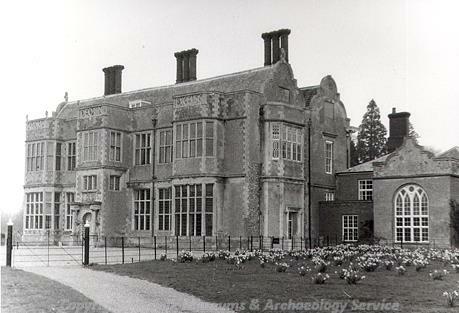 Photograph of Felbrigg Hall. 9 April. --- Newspaper Article: Eastern Daily Press. 1994. Unveiling the mysteries of everyday life below stairs. 16 April. --- Newspaper Article: Eastern Daily Press. 1997. Photographs of Felbrigg Hall (interiors and gardens). 10 May. --- Newspaper Article: Eastern Daily Press. 1997. 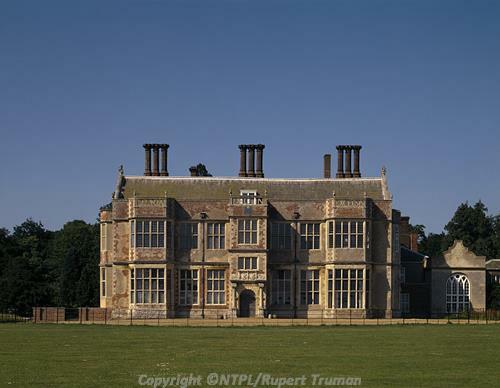 National Trust loses out to thrills offered by rival attractions (photograph of Felbrigg Hall). 25 October. --- Newspaper Article: Eastern Daily Press. 2000. Clear evidence of unrequited love. 12 February. --- Newspaper Article: Eastern Daily Press. 2001. Historic day in library. 25 June. --- Newspaper Article: Eastern Daily Press. 2009. New history uncovered. 24 March. --- Newspaper Article: Eastern Daily Press. 2009. Record-breaking year for National Trust properties. 10 November. --- Newspaper Article: Eastern Daily Press. 2010. It's never easy to find the right carpet…. 16 April. --- Newspaper Article: Eastern Daily Press. 2009. A taste of Christmas past. 14 December. --- Newspaper Article: Eastern Daily Press. ?2009. 100 years of history down the pan. --- Newspaper Article: Eastern Daily Press. 2010. The plain-speaking hero. 23 October. --- Newspaper Article: Eastern Daily Press. 2011. Fair will pay its respects to honey. 23 August. --- Article in serial: 1934. Felbrigg Hall, Norfolk.. Country Life. 22 December, p1. --- Article in serial: John Cornforth. 1990. Felbrigg Hall, Norfolk - I.. Country Life. 5 April, p3. --- Article in serial: John Cornforth. 1990. Felbrigg Hall, Norfolk - II.. Country Life. 12 April, p3. --- Article in serial: Pamela Clabburn. 1980. A Countryman's Wardrobe.. Country Life. 18 December, p1. --- Article in serial: John Cornforth. 1981. The cabinet at Felbrigg Hall, Norfolk.. Country Life. 11 June, p2. --- Unpublished document: I Tyres. 1998. Tree-Ring analysis of the roof of the Samwell Wing at Felbrigg Hall, Felbrigg. --- Article in serial: Airs, M. 1980. Felbrigg Hall. Archaeological Journal. Vol 137 pp 342-344. --- Article in serial: Leach, P. 1980. Mid-eighteenth-century alterations at Felbrigg Hall. Archaeological Journal. Vol 137 pp 344-346. --- Newspaper Article: Eastern Daily Press. 1986. Historic venue on the drawing board. 2 October. --- Archive: Clarke, R. R. and NCM Staff. 1933-1973. Norwich Castle Museum Record Card - Post-Medieval. Felbrigg. <S2> Publication: Ketton-Cremer, R.W.. 1962. Felbrigg. The Story of a House..
<S3> Publication: 1934. Country Life. 22 December 1934. <S4> Publication: The National Trust. Felbrigg Hall, Norfolk. 2. <S5> Website: National Trust. http://www.nationaltrust.org.uk http://www.nationaltrust.org.uk/main/w-vh/w-visits/w-findaplace/w-felbrigghallgardenandpark/ http://www.nationaltrust.org.uk/main/w-vh/w-visits/w-findaplace/w-felbrigghallgardenandpark/. <S6> Newspaper Article: Eastern Daily Press. 1975. Hall rooms restored. 4 April. <S7> Article in serial: Ketton-Cremer, R. W. 1951. Report of the Summer Meeting of the Institute at Norwich, 1949. Part V. Norfolk: Castles and Mansions - Felbrigg Hall. The Archaeological Journal. Vol CVI p 113. <S8> Serial: Pevsner, N.. The Buildings of England..
<S9> Newspaper Article: Eastern Daily Press. 1978. Treat in store for Felbrigg visitors. 25 March. <S10> Unpublished document: Carter, A.. Building Survey. <S11> Newspaper Article: Eastern Daily Press. 1984. Fresh ideas by Felbrigg Hall's new administrator. 18 May. <S12> Publication: Rigold, S.. 1966. D.o.E Guide to Baconsthorpe Castle. <S13> Newspaper Article: Eastern Daily Press. 1988. Facelift for the facade of Felbrigg. 30 August. <S14> Newspaper Article: Eastern Daily Press. 1988. Hall strips for action. 7 December. <S15> Unpublished document: Rose, E.. 1992. Felbrigg Hall. Notes on pipe trenches, February 1992..
<S16> Unpublished document: Phelps, A.. 1993. NAU Report on a watching brief at Felbrigg Hall, Norfolk..
<S17> Monograph: Worsley, G.. 1995. Classical Architecture in Britain.. p 211. <S18> Unpublished document: Listed Building Consent. 1997. <S19> Graphic material: Various. Various. Architectural plans.. 1997. <S20> Newspaper Article: Eastern Daily Press. 1998. Hall raises roof for vital repair project. 22 May. <S21> Unpublished document: Tyers, I.. 1998. Ancient Monuments Laboratory Report No. 65/98. Tree-Ring Analysis of the roof of the Samwell Wing at Felbrigg Hall, Felbrigg, Norfolk. <S22> Article in serial: Lucas, R.. Dutch Pantiles in County of Norfolk.. Post Medieval Archaeology. Vol 32. p 88. <S23> Newspaper Article: Eastern Daily Press. 2003. Making it as good as old. 15 May. <S24> Unpublished document: Boyle, M.. 2008. NAU Archaeology Report No. 1415. An Archaeological Excavation at Felbrigg Great Hall, Norfolk..
<S25> Unpublished document: Phelps, A.. 2008. NAU Archaeology Report No. 1952. An Archaeological Watching Brief at Felbrigg Great Hall..
<S26> Newspaper Article: Eastern Daily Press. 2009. Stained glass panes throw new light on historic hall. 13 March. <S27> Article in serial: Carter Mirror. 2011. Ancient gateway gives way to traffic.. News and Review of the RG Carter Group. <S28> Newspaper Article: Eastern Daily Press. 2013. Hall chimes to ring again. 28 February.